It is suggested that you start planning your honeymoon at least 6-8 months in advance in order to book everything you need for the trip. Travel is expensive but, it doesn’t have to be. Deal sites have made it easy to compare flight, hotel, and rental prices against one another, but this can be confusing especially if you’re juggling a lot of different websites. Here are The Wedding Salon’s tips if you’re traveling on a tight budget. Europe is just as beautiful in the fall and winter (off peak) as it is in the spring and summer (peak seasons). If weather is your primary concern, not all locations get a winter chill. Traveling to Europe during winter months exposes you to the authenticity of a country without the crowding of tourists. Off season is different in everything location for example you can visit the slopes in summer, you can still go mountain biking, hiking, etc. without paying a ton of money for lift tickets. Traveling outside peak travel times gives you access to low airfare, step-right-up tourist services, and the ability to explore a beautiful location. Negotiated Room Concessions: complimentary guest room upgrade, upgraded room for parents of the bride, etc. Cruises are the perfect to see a lot of locations in a little amount of time, making them extremely cost efficient. Their all inclusive appeal gives you access to world class accommodations without emptying your wallet. Cruises vary in length ranging from short overnight trips to almost a month but most people choose 3-7 days. Choose a cruise that is right for you based on location, time, and activities. Your credit/debit card is not only great for buying amazing clothes, it gives you amazing travel rewards! Enjoy benefits like frequent flier miles with many domestic airlines and points at choice hotels that can get you perks like a free night. Before you get too excited, at the end of the month you are going to have to pay for all expenditures to avoid finance charges. If this is too confusing for you, consult Susan Silverman Quigley, CFP to help plan a travel budget within your means . She will be at our November 26 show at the Metropolitan Pavilion to answer your questions. These are not only for travel but many resorts have sweepstakes and contests for destination weddings as well. Use your creative side with photography and writing contests and get ready to receive world class benefits for nothing. Traveling is a life changing experience that doesn’t have to be over priced. Use budgeting techniques and consult an expert whenever you feel overwhelmed. 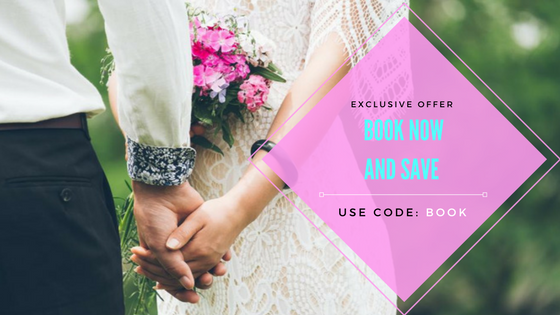 Be sure to visit our November 26 Bride Event to view all of our travel vendors who want to help turn your dream destination wedding or honeymoon into a reality.